Since my first time reading about the 601 La Bomba Warhead I have wanted to get my hands on one. Last week Cigar Train mentioned they were in stock so I ran right over and picked one up. The 601 La Bomba Warhead is a limited edition cigar with only 2,000 boxes of 10 being produced. It is the first cigar in the 601 La Bomba line to be produce with a Connecticut Broadleaf maduro wrapper. It has a fuse-like pig tail, it's box-pressed and the band looks like a World War II bomb when it's stretched out flat. Visual inspection of the 601 La Bomba Warhead reveals a cigar with top-notch construction. 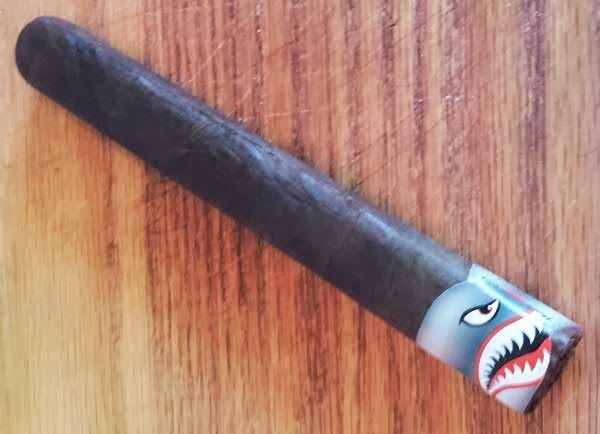 The sturdy Connecticut broadleaf maduro wrapper has a light amount of tooth, is rolled on with seamless skill and only the finest of veins are present. Feeling down the body, it's packed firmly, with no hard or soft areas to be found. Testing the aromas from the foot there is a strong aroma of cocoa to the nose. Once the pig tail cap was clipped the free cold draw had bold notes of chocolate and spicy cedar. 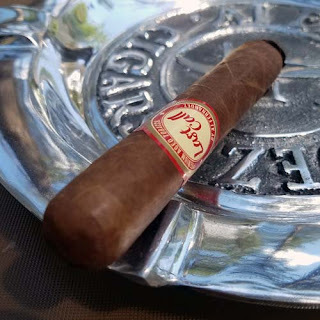 Since the band was located at the cigar's foot, it had to be removed before lighting the cigar. It came off without causing any damage to the wrapper. Once the foot was toasted and lit, the first flavors were a medium body mix of earth, raisins and sweet chocolate. As the burn progress other flavors entered the mix, there were note of oak, mild anise, molasses, cream and peat through the first two thirds. The highlight of the flavor mix was the long finish. The entire final third was a full bodied mix of my favorite flavor, burnt mocha. My "burnt mocha" mix consists of chocolate, cream and charcoal. I did test the flavors with a retro hale and found it to be like a dry chocolate. Burn wise this cigar was pretty good. The burn took off a bit up one side, but by the mid section it had evened out with no need for correction, leaving behind a soft, flaky light gray ash that held on through the first third. Overall this 601 La Bomba Warhead was a tasty cigar with a decent burn, great flavors and a 60 minute smoking time.